On Saturday the Labour family in Wales will gather in Cardiff to decide how we elect the leader and deputy leader of Welsh Labour. This fundamental question is part one of the Welsh Labour democracy review that was agreed at this year’s Welsh Labour conference. It is the first question Labour members, constituency parties and affiliated organisations are considering as part of the review – and it is to our party’s credit that we have taken on the most difficult and contentious question first, without undue delay. Since the Welsh Assembly’s birth in 1999, Welsh Labour has been in power. We have had three First Ministers, all Labour and all elected through the electoral college system. During every leadership election the system has been the subject of considerable debate, often obscuring the contributions of the various candidates during the election. This can’t be right; the system of election can’t be the central focus. What our party and the general public need to hear and consider are the various leadership qualities and policy proposals of those seeking election. Ahead of the special conference this weekend we must, as a Labour movement, make an honest assessment of how the existing system has performed and also how it is perceived. If I were a school teacher I think it would be charitable to give it a D-. The debate over the democratic value of the electoral college, as opposed to one member one vote (OMOV), erupts every time we have a leadership election. It was there in the inaugural First Minister leadership election in 1999 and has never gone away. It is an open wound that never heals. It is Unite’s view that in an era of mass party membership, continued use of the electoral college system in Wales is simply outdated. We must recognise that it is a discredited system that our party across the UK has jettisoned. It is complicated, divisive and – at its core – fundamentally undemocratic. This weekend is Welsh Labour’s opportunity to make a clean break with the past and embrace OMOV. Supporting the alternative – a fudged option of a reformed electoral college – will only extend the division. We have to be bold and decisively embrace an electoral system that gives each vote equal value, which is OMOV. 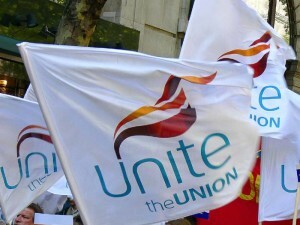 Unite’s decision to support OMOV is unlikely to be supported by all the other affiliated trade unions in Wales. Indeed it may be a decision that makes us unpopular with some in our movement, but I am confident that we are on the right side of the debate here. The position of the majority of trade unions at a national level is now to support OMOV, and the vast majority of CLPs in Wales support OMOV. Our view is that OMOV is the fairest and clearest system available that best reflects the views of ordinary party members and affiliated trade union members. To argue that embracing OMOV weakens the trade union voice in our party democracy is a red herring. Our Labour Party, under the leadership of Jeremy Corbyn, wants the trade union movement to thrive and to remain a strong and active partner. The words of Shadow Cabinet Ministers at the national TUC this week are clear evidence of this. Supporting OMOV does not in any way mean that Unite intends to step back from its involvement within the Welsh Labour Party. The trade unions founded the Labour Party, and Unite intends to continue playing a strong and prominent role. Perhaps the most important benefit of adopting OMOV is that our leaders will be able to demonstrate that they have the full confidence of the party they lead. OMOV clearly gives them that. No more questions as to democratic legitimacy and no more arguments over processes that are baffling to the average voter. These are troubling and difficult times, with the spectre of Brexit and the uncertainty it brings casting a dark shadow over Wales and its future prosperity. Strong, effective leadership within our party is more important now than ever before. That leadership will require a strong, unequivocal and legitimate mandate from its membership. The Labour Party in Wales and the UK has changed enormously in recent years. The election of Jeremy Corbyn as leader of UK Labour has re-energised our party and brought hundreds of thousands of new and enthusiastic members into our movement. This weekend is our opportunity to finally end the internal arguments over processes and systems and concentrate on what really matters – the retention of a Labour government in Wales and the election of a Labour government in Westminster. Peter Hughes is regional secretary for Unite Wales.